There is no questioning the prevalence of noise nuisance and its harsh consequences on residents. The numerous related complaints, including letters in the media, tell of extremely worrying situations. Much has been said about the disturbing effects, especially on the elderly, the sick and children, seemingly left at the mercy of the perpetrators. Much has also been said about the reportedly reluctance of the Police to intervene or their very delayed and inconsequential response. Based on reports, noise nuisance is widespread with common sentiments by affected residents. Their stories detail the horror they are forced to endure and their passionate pleas for help. To put in perspective the impact of loud noise, the USA used it as a means of “music torture” for psychological warfare on former Panamanian leader, General Manuel Noriega. Facing indictment for drug-trafficking and other claims, he was at the time hiding out in the Vatican’s embassy in Panama City, after the USA invasion. Having surrounded the embassy, troops blasted rock music non-stop. It is believed that the Vatican complained to the then US President, George HW Bush and the music war stopped within three days. Shortly after, Noriega surrendered. That further demonstrates the potency of noise to inflict psychological harm on humans. Evidence is not necessarily needed to make that point, but noteworthy, loud noise can potentially cripple the mindset. 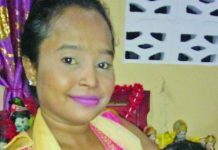 While the Noriega situation lasted only three days, here in Guyana, many residents are subjected either on a daily basis or throughout every weekend. As this nuisance continues unabated, affected residents are left short of a solution for relief. 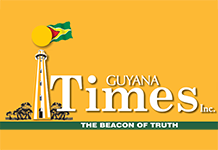 Recently, Public Security Minister Khemraj Ramjattan spoke to the issue during related training involving representatives of the Guyana Police Force and the Environmental Protection Agency (EPA). He alluded to the social problems noise nuisance can precipitate and reminded that persons can be prosecuted. He also stated that other mitigating measures such as seizure of equipment, revoking of licences and the increasing of fines can be taken against perpetrators and urged knowledge of the related laws. While the training is welcomed and the Minister’s pronouncement would be seen as a call to action by those tasked with maintaining law and order, it did not answer why there is a reported lack of action in many instances to the numerous reports made. Clearly, the authorities cannot be oblivious of residents’ cries; both in the media and complaints made to various Police stations. It should be noted that after accusing its predecessor of failing, the current Government campaigned vigorously to restore law and order in all forms. If that were to be believed, then an obvious question is why it took more than three years for the Minister to appear to be implementing measures to bring relief to residents? What could have led to his pronouncements at this time and which prevented him from doing so before? There have been numerous allegations of some Police ranks deliberately turning a deaf ear to complaints of noise nuisance. One reason is reportedly some the ranks benefit from owners of bars and promoters. There are also allegations of some ranks patronising some bars and events even while the music is devastating to surrounding residents. The common response to aggrieved callers is that permission is granted until midnight. In reality that “midnight” turns out to be much closer to sunrise. Gauging from reports in the public domain regarding the Police/EPA training, it appears that the issue of “until-midnight permission” may not have been a focus. This is not to say it probably was not discussed. However, that needs to be addressed, taking into consideration the welfare of citizens. Equally worrying, is the Minister urging knowledge of the related laws to the gathering. Is that suggesting that the first responders are unaware? Should that be taken as an answer for the lack of meaningful intervention, especially in the past? Surely that cannot be accepted for residents wanting relief. Many have asked why particular bars are given the freedom to consistently blare music in total disregard for others. Action has since been taken against one and residents are relieved after years. A question is; why not earlier? Naturally, clamping down on noise nuisance will find favour with residents but the wrath from the perpetrators. When interests clash, the welfare of the general citizenry is expected to be given priority. As the Minister’s charge is executed, the foremost expectation would be for no favouritism to be shown to the believably friends and/or benefactors of some ranks. As it is, some bars, in and out of the City, operate unfettered as if the Minister’s statements were never made. If the Minister is genuinely concerned over the various social problems that can manifest, then he has to be even-handed and the efforts sustained across the country. If this is now a priority, then he must also implement a mechanism whereby citizens can easily further their complaints when ignored at Police stations with the expectation of a swift resolution. Failure in these regards will probably see residents surrendering to blasters as Noriega; only in the context of being fatigued by noise.